OLATHE, Kan. (BRAIN) — Garmin reported Wednesday that its first-quarter revenue rose 7 percent and net profit surged 32 percent as the company saw strong double-digit growth in the outdoor and marine segments that helped offset continuing declines in its automotive business. OSAKA, Japan (BRAIN) — Shimano on Tuesday reported its second consecutive quarterly year-over-year revenue decline in its bike segment, as it announced that net sales were down 20 percent in the first quarter of 2016. The company's operating income also was down, 30.7 percent. HEERENVEEN, Netherlands (BRAIN) — Accell Group said it recorded higher turnover and profit in the first quarter of this year compared to last year due to higher demand for higher priced e-bikes and sport bikes. HELSINKI (BRAIN) — Mavic sales were down 2 percent in the first quarter, according to its parent, Amer Sports, which reported its total sales were up about 10 percent. STOCKHOLM (BRAIN) — Thule Group AB hit its financial goals for annual sales growth and EBIT margin for 2015, and exceeded its goal for the proportion of the energy used in its factories coming from renewable sources. SEATTLE (BRAIN) — REI posted record revenues last year. The outdoor specialty retailer reported $2.4 billion in annual revenues in 2015, a 9.31 percent increase from $2.2 billion in 2014. Challenging currency rates, sluggish fourth-quarter sales hurt profits. 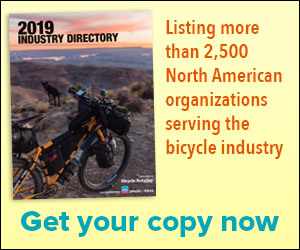 MONTREAL (BRAIN) — Dorel Industries reported that its bike business, Dorel Sports, saw revenues drop by $6.4 million or 2.5 percent to $253 million in the fourth quarter of 2015. Removing the impact of foreign exchange rates, organic revenue was up about 3 percent, the company said. Suspension brand sees double-digit growth in fourth-quarter and full-year sales thanks to acquisition of RaceFace/Easton. SCOTTS VALLEY, Calif. (BRAIN) — Fox Factory Holding Corp. posted nearly 30 percent growth in revenue in the fourth quarter of 2015, the company announced Monday. Sales for the quarter totaled $95.7 million, compared with $74.1 million for the same quarter the previous year. Global revenues were up 9% last year thanks to e-bikes; profits up 33 percent. HEERENVEEN, Netherlands (BRAIN) — Accell Group is reporting that its global profits and revenues were up significantly in 2015, largely thanks to e-bike sales in Europe. Fitness revenue up 14 percent in quarter on strength of wellness, running and cycling products. OLATHE, Kan. (BRAIN) — Sales and profit declined at Garmin Ltd. in the fourth quarter, but the company’s fitness business — which includes cycling products — posted its strongest gains for the period. Thule outdoor bags category continues to grow. STOCKHOLM (BRAIN) — Thule Group notched a 5.1 percent sales increase in 2015 in currency-neutral figures. The Stockholm-based company recorded sales of 5.3 million Swedish Kronas ($623 million) for the year, capped by a 3 percent sales increase in the final quarter. But the company is forecasting a decline for 2016. OSAKA, Japan (BRAIN) — Shimano's net sales were up nearly 14 percent in 2015, to 378 billion yen ($3.3 billion). Operating income also increased, by nearly 30 percent, to 85.1 billion yen. SAN MATEO, Calif. (BRAIN) — Shares of GoPro plunged in after-hours trading Wednesday after the action camera maker reported a surprising fourth-quarter loss of $11.4 million, or 8 cents a share, compared with a year-earlier profit of $144.9 million.